Nestled along a tiny country lane below the Downs near Newchurch, is one of the Isle of Wight’s most famous visitor attractions, The Garlic Farm. The owners, the Boswells, have been growing garlic for over thirty years, and hidden within this enclave is a foodie heaven, The Garlic Farm Café. This Island eaterie found its footing early on and has built up a trusted regular clientele of happy diners, not to mention the thousands of visitors who end up scouring the shop for garlic related food produce, then slip into the café to savour those delicious flavours. The picturesque setting is also very well laid out. 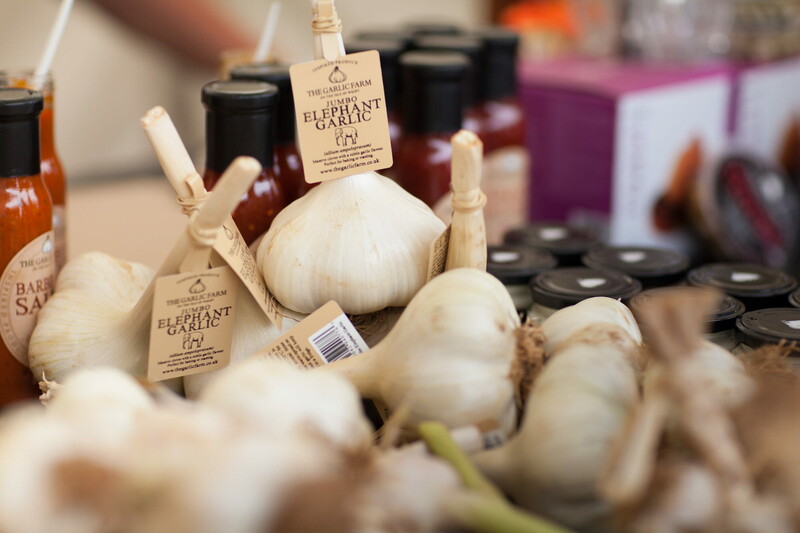 As you walk through the courtyard, beyond the Education Centre, past the fragrant garlic bulbs festooning the entrance to the shop, your taste buds and nasal senses are gearing up for a lovely culinary experience. The smells of the kitchen waft through the café to greet you. On hand is the maître d’, a wine list and a Specials Board, which enhances the overwhelming feeling that this establishment is less café but more restaurant with cafe prices. The extended dining area is welcoming and light and airy, with views out across the farm, while the ambiance breathes a relaxed charm adding to the deliciously conceived menus; firmly rooted in locally sourced, fresh ingredients with of course, a garlic following. The real mouth watering begins when you see the menus and what fellow diners are eating. Cleverly broken down into various section such as Nibbles, Light Bites and Sides, Signature Dishes, Sharing Platters (try the Tex Mex Sharer or Garlic Mezze Platter) to the Specials Board, which includes all seasonal local produce. Tea time is great for their scrumptious homemade cakes, or a sneaky dessert. Then there’s a wine list, not to mention Garlic Beer and locally pressed Sharon Orchard Cider also on offer plus delicious Isle of Wight locally pressed juices for the kids. 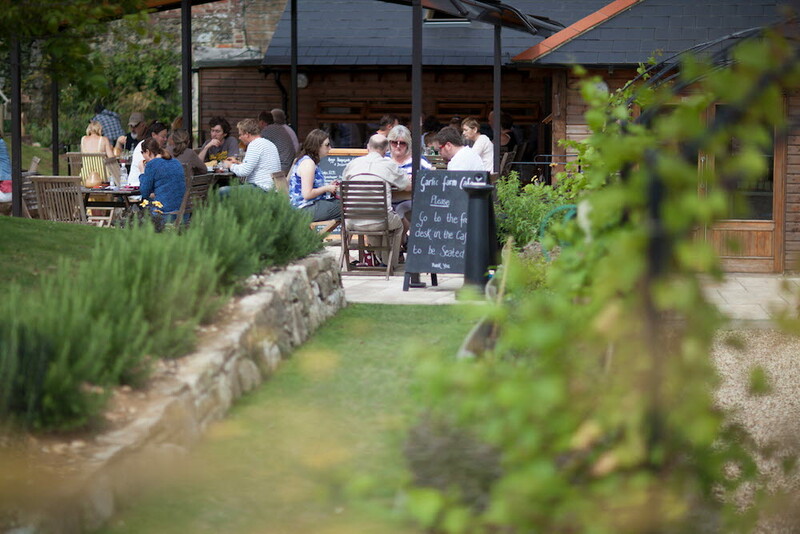 Attentive staff embrace all those who come, so families with small exuberant children, are as welcome as the more discreet diners, which is testament to the family friendly ethos at The Garlic Farm. What’s more is that all around you there is something to learn about garlic – information, facts and figures are peppered everywhere. Educating the masses on garlic is an important remit for the Boswell Family. Stick your hands up all those who know what the fear of garlic is called?